Lobster fishing trips are seasonal and here in California the lobster season usually runs from early October to mid March. These trips usually depart around 5PM and return around 10PM. Most of the time we are fishing inside of the Long Beach harbor so you don’t have to worry about rough water. We will provide all hoop nets and gear needed to catch lobsters, you only need to bring your California fishing license and lobster card. Lobster charters are a lot of fun and a great way to learn about lobster fishing here in Southern California. On these trips we will be fishing along the coast in the Long Beach / Los Angeles area, where ever we feel the fishing will be the best. These trips normally target calico bass, sand bass, halibut, and rock fish . The cost of the trip includes all fishing tackle, bait, crew and fish cleaning. Not included is your California fishing license or tips for the crew. Feel free to bring anything you wish to eat or drink. These trip usually depart around 7AM and return around 12:00 Noon. On these trips we will be fishing along the coast in the Long Beach / Los Angeles area, where ever we feel the fishing will be the best. These trips normally target yellowtail, bonita, calico bass, sand bass, halibut, and rock fish . 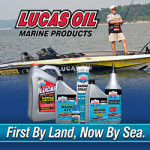 The cost of the trip includes all fishing tackle, bait, crew and fish cleaning. Not included is your California fishing license or tips for the crew. Feel free to bring anything you wish to eat or drink. These trip usually depart around 7AM and return around 2PM. Captain Dan takes you fishing at Catalina Island. There you’ll be fishing reefs and kelp beds along the island. These trips normally target calico bass, yellowtail, halibut, barracuda, white sea bass and rock fish . The cost of the trip includes all fishing tackle, bait, crew and fish cleaning. Not included is your California fishing licenses or tips for the crew. Feel free to bring anything you wish to eat or drink. These trip usually depart around 7AM and return around 4PM. These trips we will heading offshore in open water searching for tuna, dorado and marlin. The cost of the trip includes all fishing tackle, bait, crew and fish cleaning. Not included is your California fishing licenses or tips for the crew. Feel free to bring anything you wish to eat or drink. These trip usually depart around 6AM and return around 4PM. Cruise our local waters from Long Beach to San Pedro and see sights like the Queen Mary, San Pedro a working harbor and visit the Battleship USS Iowa and we should see sea life like seals on our tour, or go out in open water and do some whale watching. 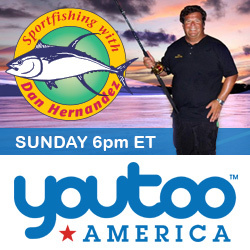 Now you can book a private fishing charter with Dan Hernandez and be on his weekly television fishing program. We’ll film your private fishing charter with Dan and we’ll broadcast it for you too! There are a limited number of these filmed private charters available so sign up today. All bookings are considered tentative until a credit card number is received and a deposit is paid. If you need to cancel your charter it must be done at least one week in advance in order to receive a full credit toward a future trip. If you cancel less than one week before your charter you will be subject to 100% forfeit of your deposit. No shows will result in 100% forfeit of your deposit. Full payment is due 72 hours before your trip. Dan Hernandez Fishing Charters carries only the best fishing equipment and we take great care when it comes to our tackle and hope that you do the same. If you are at fault for any lost, damaged or stolen tackle you will be charged to replace it. This charge is from the City of Long Beach Marina Office. It’s what the City of Long Beach charges to allow us to pick up our clients from docks owned by the City of Long Beach.